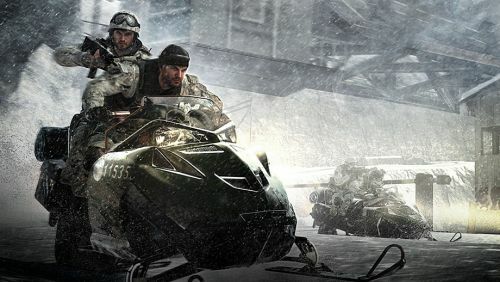 Modern Warfare 3 is getting it's first "content drop" on March 29th, which includes the first three maps that were previously only available to Call of Duty Elite subscribers as well as more content for March. The new content for March includes two Spec-Ops co-op missions; Black Ice and Negoiator. This "content drop" is purchasable by players who did not opt in for a premium Call of Duty Elite subscription. In addition to the Spec-Ops maps will be four multiplayer versus/survival co-op maps. These maps are entitled Liberation, Piazza, Overwatch, and Black Box. Both the Spec-Ops and Survival maps are playable in two player local or two player online co-op. Shred ice from aboard your snowmobile as you infiltrate a diamond mine in the Special Ops mission, "Black Ice." Melt more than snow when you plant high-grade explosives to shut the mine down forever. 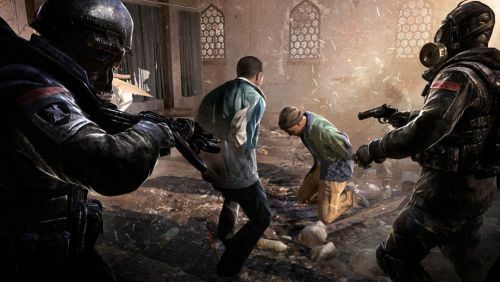 Cash in all your karma as you head to India for high-stakes hostage extraction in "Negotiator," an all-new Special Ops mission in which you'll breach-and-clear rooms and navigate surface streets to secure the safety of your VIPs. All this content is free for Call of Duty Elite members. The price for non subscribers has not been announced. The content will be available on the Xbox 360 first and later on the PlayStation 3 and PC. Activision has planned a full 9 months of content for Modern Warfare 3 which can be seen on the calendar here.